Research shows that most Americans are living with some degree of gum disease. 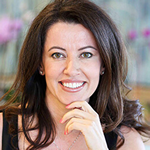 Visiting Dr. Sanda Moldovan of Beverly Hills, CA, gives patients an added positive dimension to gum care. As both a Dentist and Periodontist, she cares for teeth and gums, maintaining the healthy and treating the diseased. 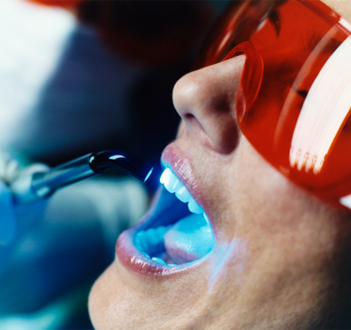 During her extensive training, she realized that the use of lasers in gum surgery was something that would prove valuable in ensuring ideal oral health in patients. Patients are always encouraged to practice good dental hygiene through regular brushing and flossing. These habits can help to greatly reduce plaque buildup, caused by the wide variety of bacteria found in the mouth. Plaque that is not removed becomes tartar. This is one reason that regular dental visits are vital. During routine exams and cleanings, the dental professional will safely and gently remove harmful tartar, which is essential for healthy teeth and gums. Dr. Moldovan can help restore gum health for many patients through a painless process, an alternative to invasive surgery. Local anesthesia is administered to maintain patient comfort for the procedure. The root surface is cleaned and smoothed, a process known as root scaling and planing. This area is then flushed to remove bacteria and debris. The laser is introduced at this point in the procedure to deliver more impactful results. It is used to destroy and eliminate even more bacteria, as well as to seal treated gums for better healing. Patients experience little to no bleeding from laser gum surgery, and pockets that housed infection in the gums are sealed, to avoid repeat contamination. Discomfort following the procedure is greatly decreased, as well, and patients enjoy an increased rate of success. Preventing gum disease is an important goal in Dr. Moldovan's office. If patients are exhibiting signs and symptoms of varying stages of gum disease, we will explain the treatments available to halt the progression, and prevent deterioration of bone and tissue. We want patients to understand that this is essential to preserve teeth, and have developed comfortable and effective procedures to do so. For personalized care with your best health in mind, we invite you to experience the services of Dr. Sanda Moldovan and her exceptional and dedicated staff. We offer a variety of services designed to positively impact your overall health. Call to schedule an appointment today to begin developing your own relationship with our caring and qualified team.